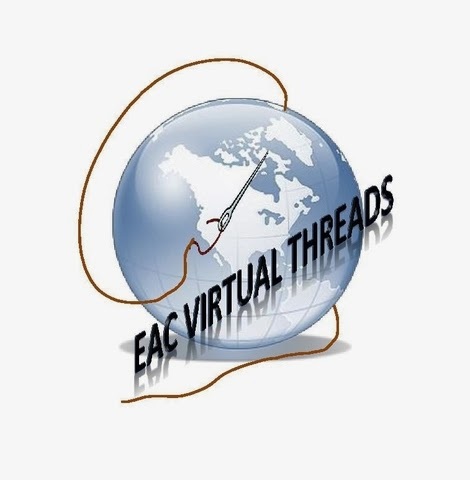 I'm in a counted thread round robin in the EAC Virtual Threads group (a chapter of The Embroiderers' Association of Canada) and this is my work on the first piece to come my way. It is always a bit nerve wracking being the first because you sort of set the tone for the piece but Diana gave such good details of what she is looking for, it was easy. This is on a rectangular piece of nice linen and she asked for blackwork leaves along the botton and up the left side - she even provided h thread choices and templates for the leaves so all that was left to do was to decide on the blackwork patterns and the outline. The first leaf is in the bottom left corner and is outlined in chain stitch. 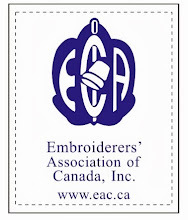 The seconid leaf is outlined using stem stitch. Diana asked that each leaf be outlined using a different stitch, which I think may be challenging towards the end of the round robin. I enjoyed working on this and think it is a very nice design idea - can't wait to see how it looks at the end of the round robin! I've polished off a few more books this week - the joys of no television! 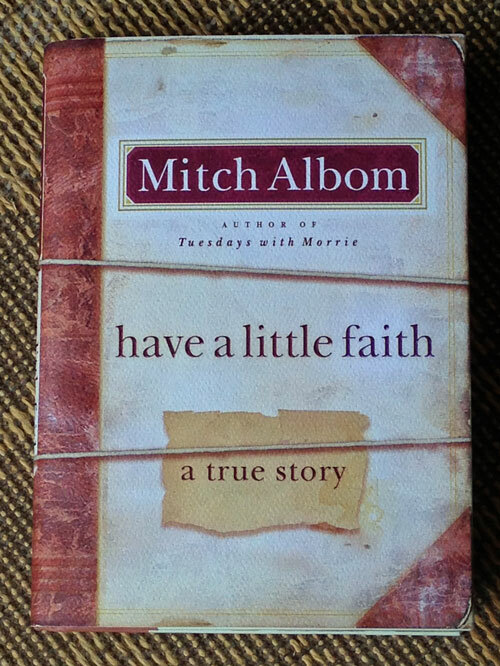 If you liked Tuesdays with Morrie, you will like Have a Little Faith by Mitch Albom. 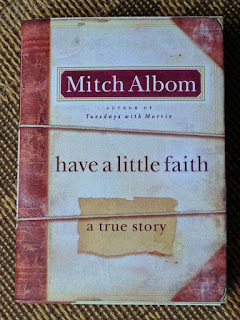 As a matter of fact, you should probably read anything you can find by Mitch Albom - well worth reading - feel-good books and easy reads. Of course, Kathy Reichs is a favourite - this is another book in the series and I enjoyed it. This one was completely different - I likely picked it up thinking Wool was fibre related but it turned out to be a sci-fi - sort of a post apocolyptic thing. I have to say I enjoyed it a lot - a good read! Nicki and Ann's Squishie for the What is this Challenge. YOU THOUGHT I WAS GONE FOREVER. DIDN'T YOU? My 3 Girlies! Today is a birthday! Easter Greetings from Vintage Vogue! His Majesty The Tree - the Piecemakers 2002 calander quilt.